Wondering how to prevent your scuba dive mask from leaking? In this article we explain how you can prevent your scuba mask from leaking water through the tiniest cracks in the seal. How to Gear up your Scuba Kit Quickly, Easily and Efficiently? 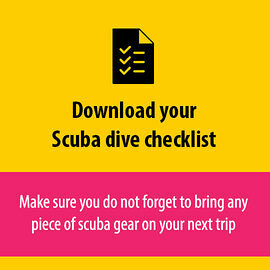 Gearing up for a scuba dive can be a hassle if you do not come prepared. There are some tricks you should know in order to gear up scuba kit quickly. What to Expect When Scuba Diving the Famous Brother Islands in the Red Sea? Looking for more information about scuba diving the The brother islands of the Red Sea? We explain more about liveaboard diving the Brother Islands in Egypt. Planning a boat dive trip but never been on such a trip before? Not to worry, we explain what the boat diving etiquette are so you will look like a pro when exploring awesome dive site on a boat dive trip. What Causes Seasickness and How to Prevent it While Diving? Seasickness and scuba diving do not match but unfortunately do often come together. Motion sickness can happen on the boat on your way to a dive site or even when you are in the water after a scuba dive.